Developing new products and extending established lines. The Additiva system for the modern office. Additiva is the result of such an innovation process we have managed, which led to a totally new product. During the kick-off meeting for this project we brought people from a variety of product relevant areas concerning the issue of technical planning of buildings together for a day and bundled their knowledge and experience: Architects, manufacturers, TGA planners (architectural engineering), office planners and customers. What emerged is a totally new product category belonging to the tension area office/building. 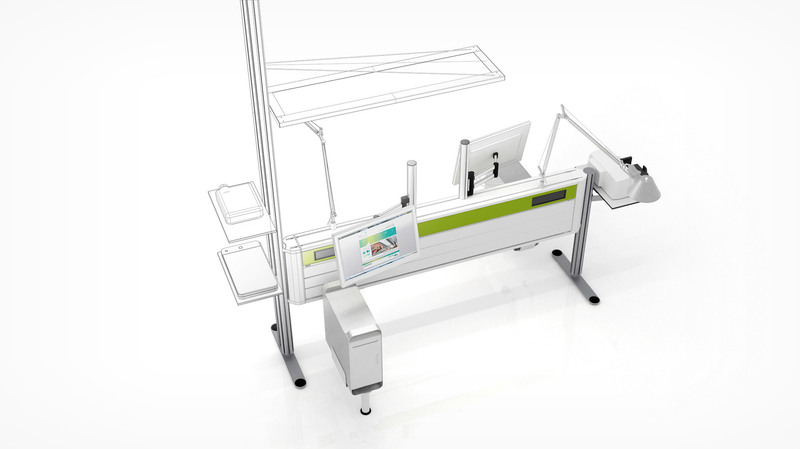 Additiva liberates the work place from unnecessary cables and devices and thus contributes to increased productivity. It is especially suitable for modern decentralised allocation of energy and data using Consolidation Points. The way from the desire for innovation to market success is often lengthy – this is shortened by h&h with managed innovation processes. Design meets technology, gut feeling meets ratio, marketing meets customer, new meets old. Between these areas of tension true pioneering new ideas can emerge.